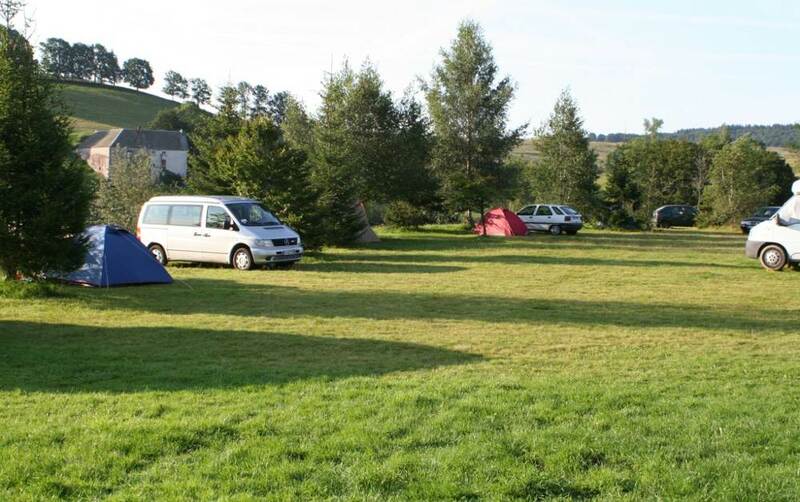 Camping Saint-Urcize can be found a stones throw from the St James Way (The Pilgrimage to Santiago de Compostela). 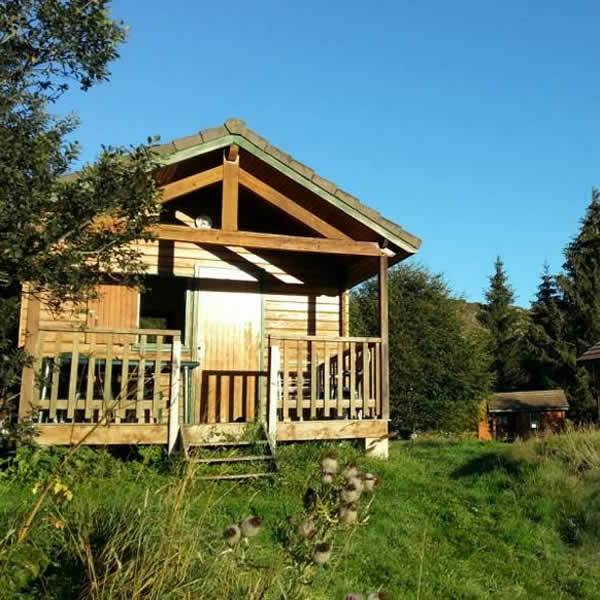 In the very south of Cantal and between the departments l’Aveyron and la Lozère, a region whose outstanding beauty will move all nature lovers. 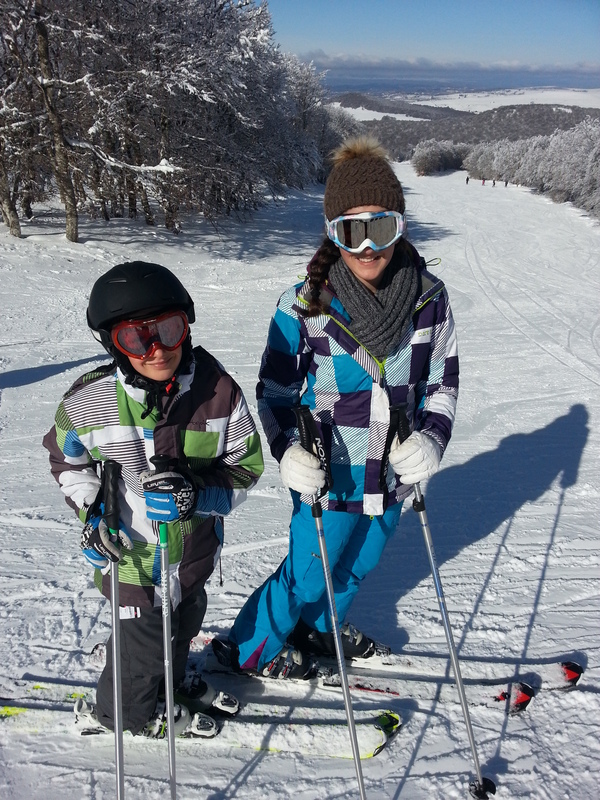 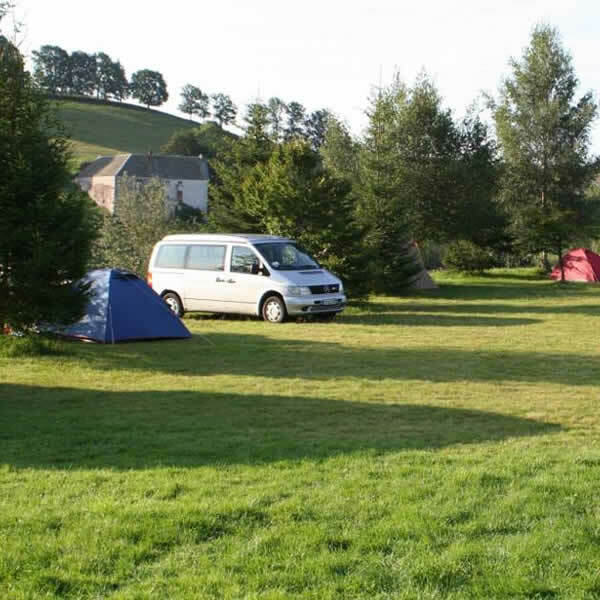 The multitude of available sporting opportunities are just to whet your appetite. 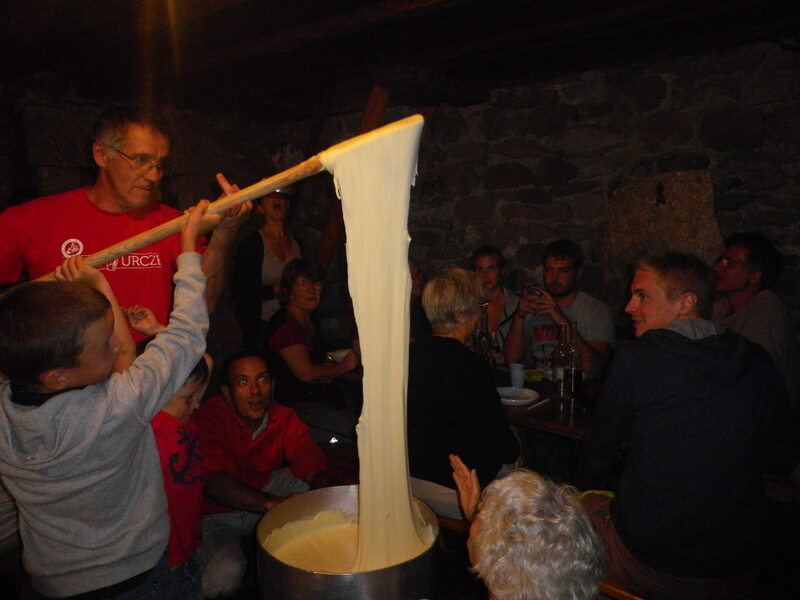 Culture, Heritage and fine dining add to the overall symphony of your senses. 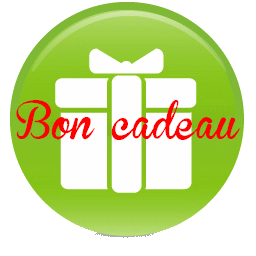 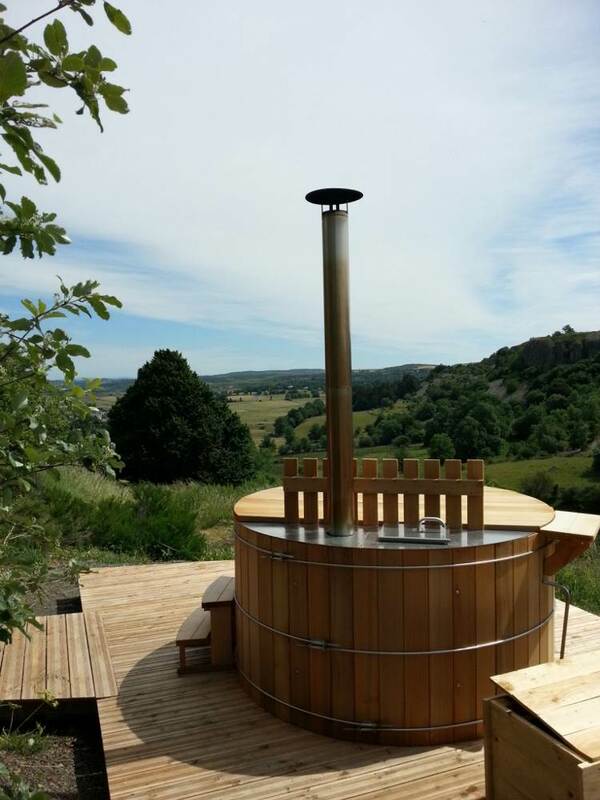 The nearby village de Saint-Urcize offers a warm and authentic welcome. 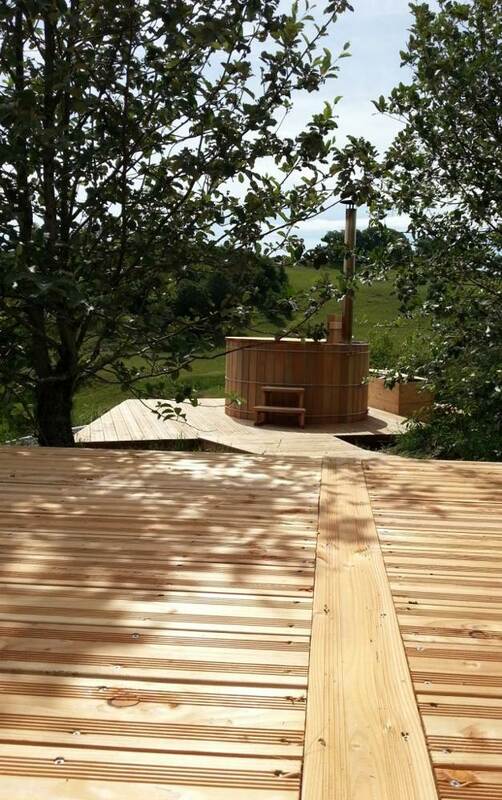 As evening approaches, returning back to the campsite you can enjoy, under the beautiful stars, our wellness centre “Les rêveries de Philéas” – complete with a Finnish Bath and a traditional wood burning Sauna. 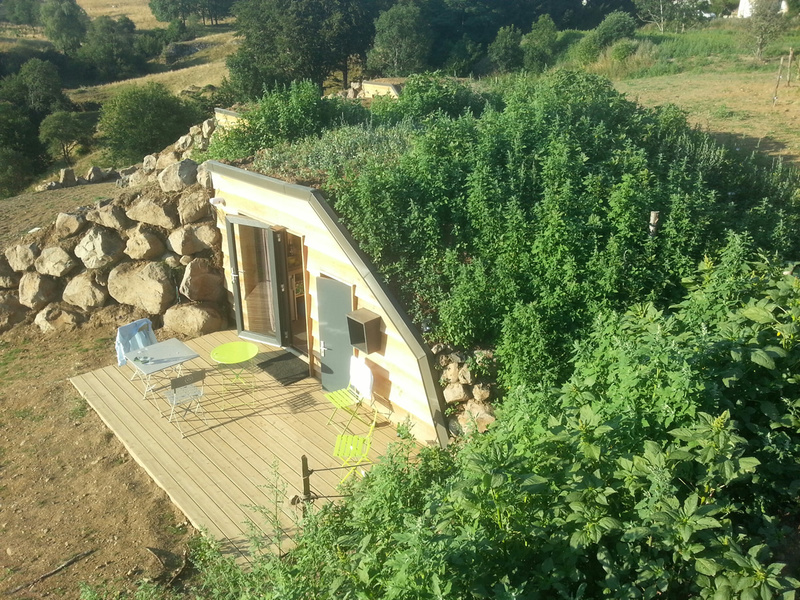 In a verdant setting, within a beautiful preserved nature, the Camping Saint-Urcize is deployed over a series of natural terraces, overlooking the village. 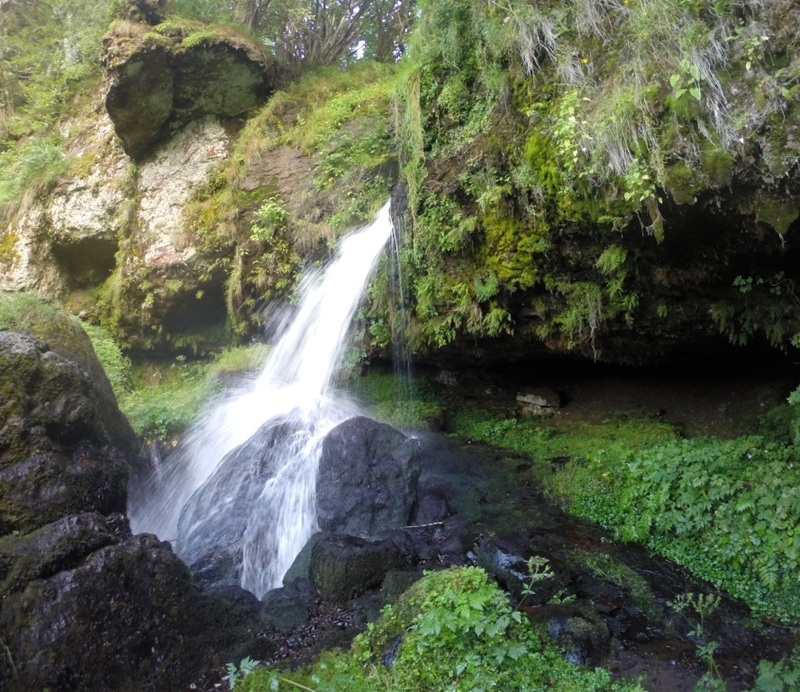 At the foot of the site winds an adorable river following the course of an ancient lava flow. 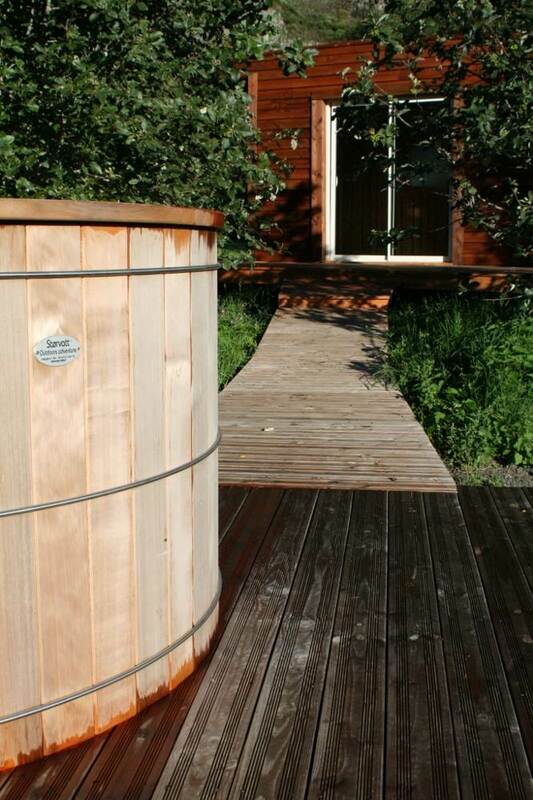 A nearby waterfall will enliven your bathing experience! 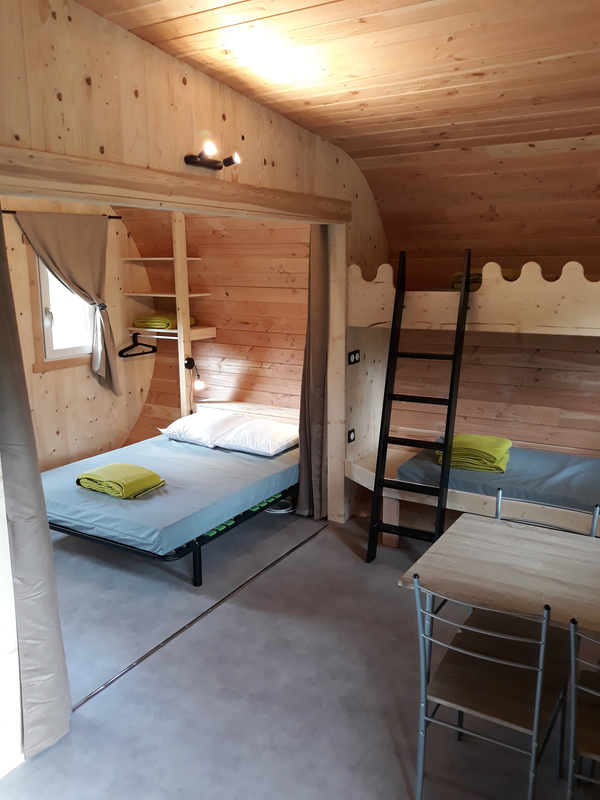 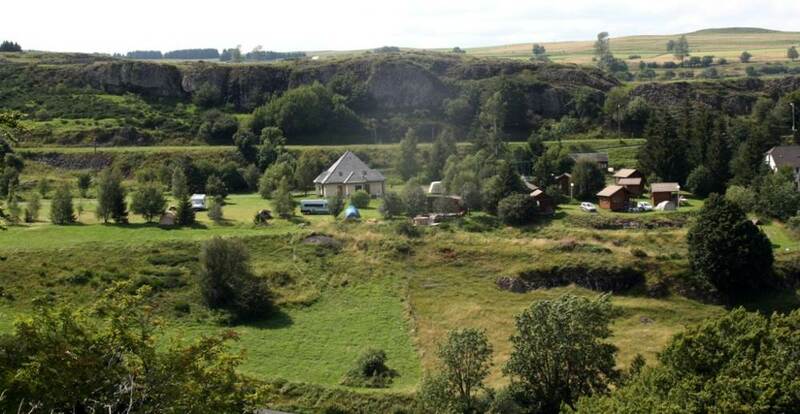 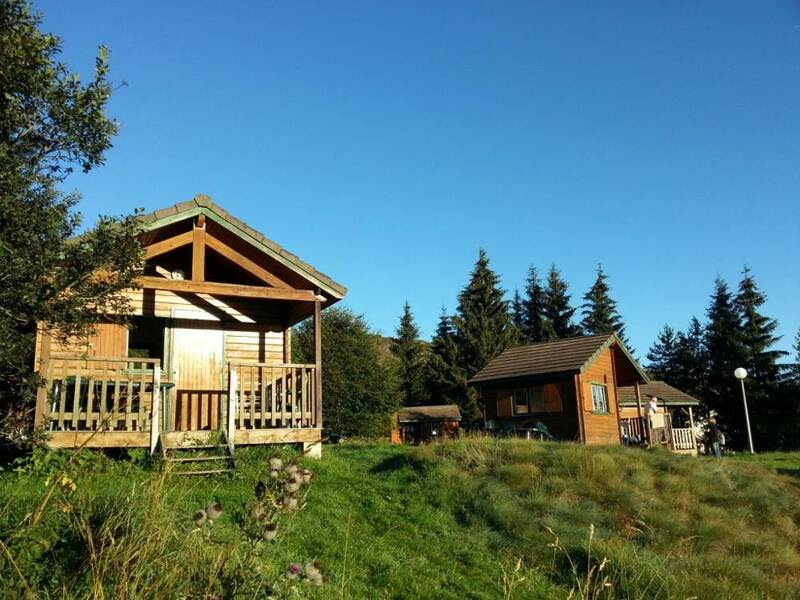 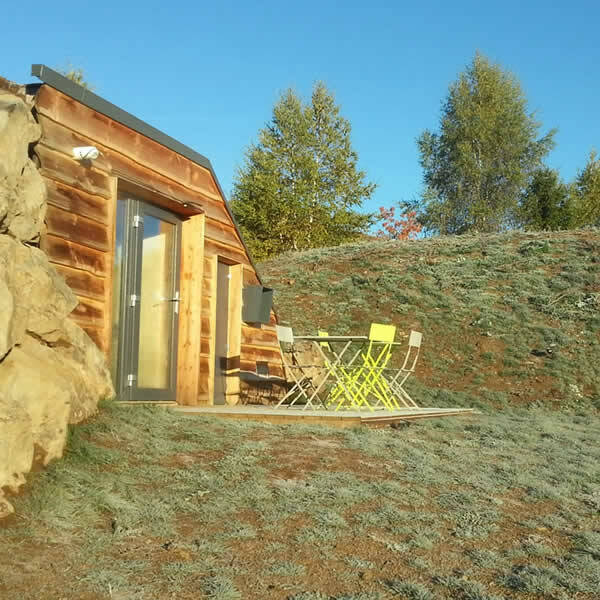 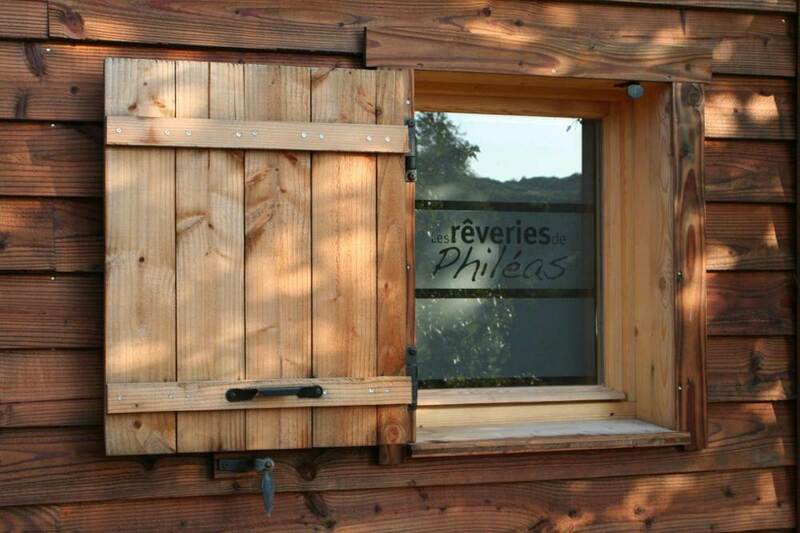 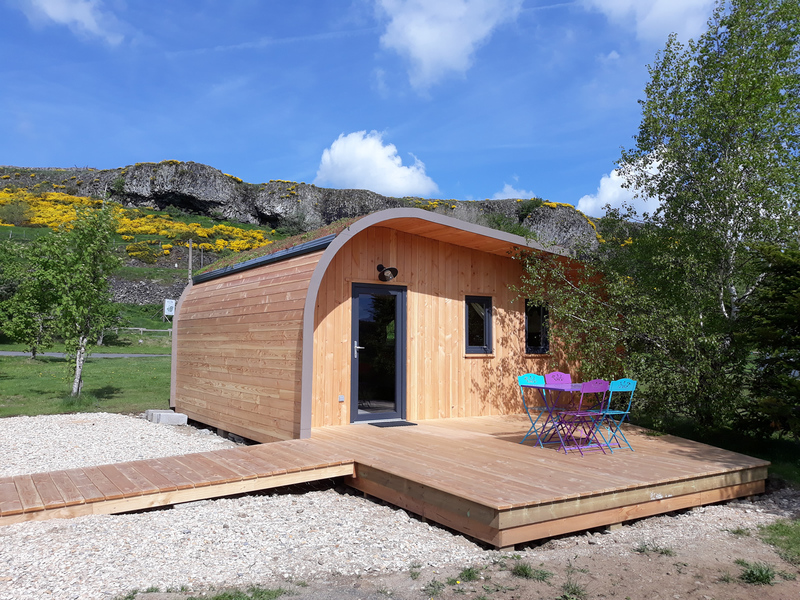 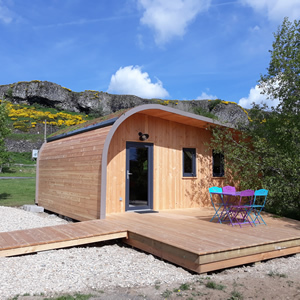 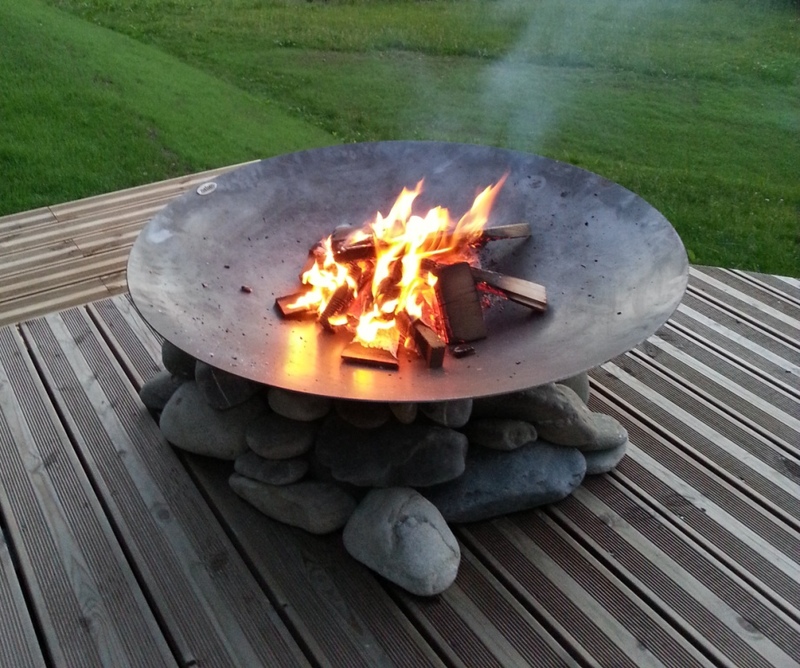 At the heart of the campsite you can enjoy the wellness centre “Les rêveries de Phileas” with a beautiful view over the plains of Aubrac and the village of Saint-Urcize.